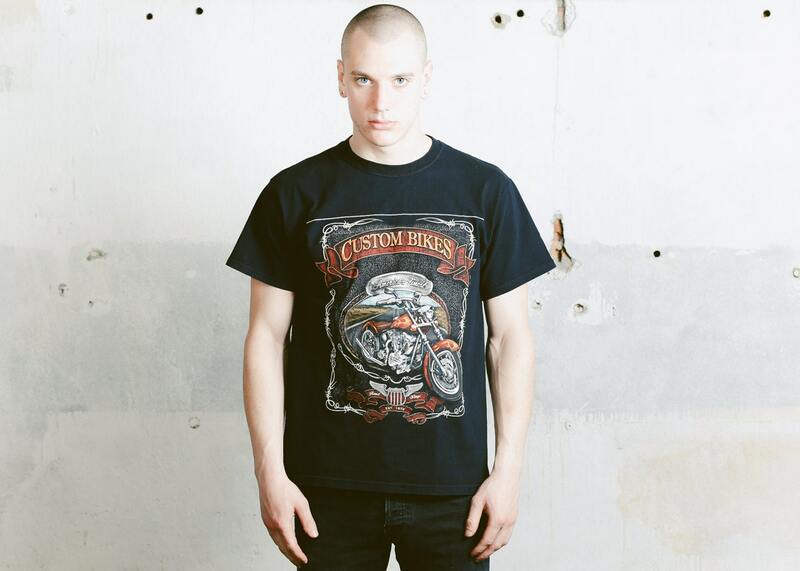 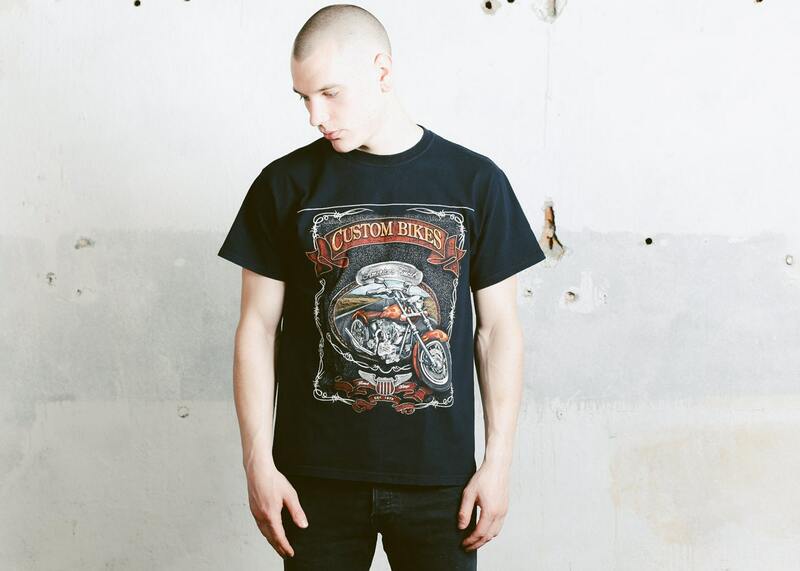 You are looking at a perfectly worn and great fitting vintage 1990s men's t-shirt in deep black with biker themed print. 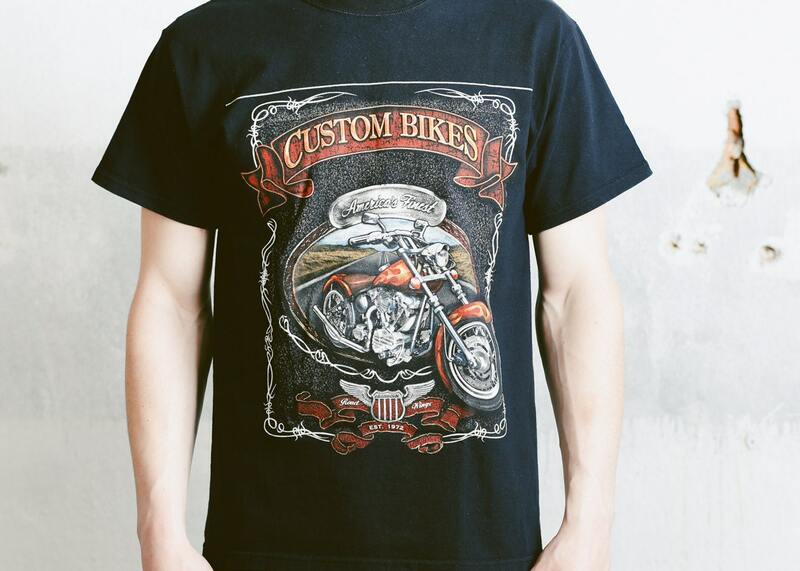 Made of soft and cozy cotton fabric. 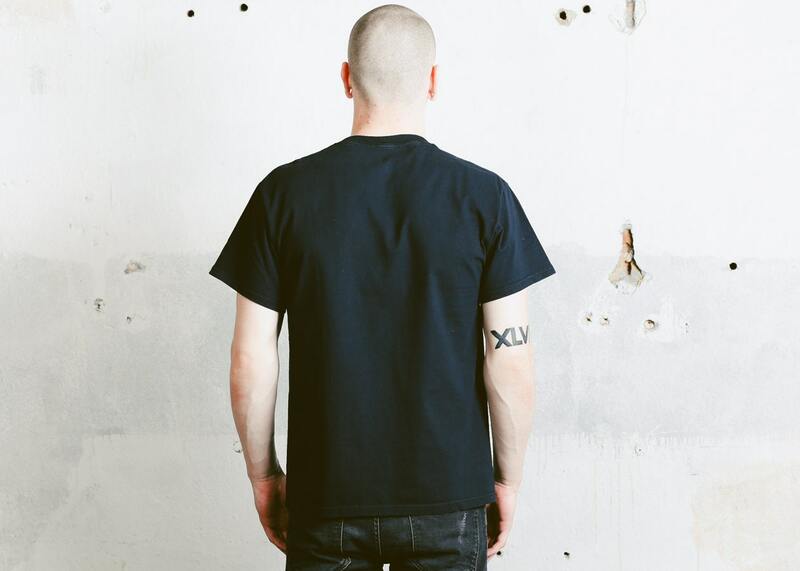 Perfect piece for relaxed modern day wear.